Staffordshire-based Travelworld Motorhomes has announced details of a week-long Grand Opening event to mark the start of operations at Creswell Park in Stafford. The event will run from Monday 18th until Sunday 24th February 2019. Monday 18th will feature outdoor enthusiast and TV presenter Julia Bradbury and renowned wine critic and TV personality, Jilly Goolden. Pro mountain bike racer, Scott Beaumont, nicknamed, ‘Boom Boom’ will be performing stunts and chatting to guests on Saturday 23rd February. Super car BAC Mono will be on display and interactive showroom tours will be conducted by Travelworld representatives every day during the event. 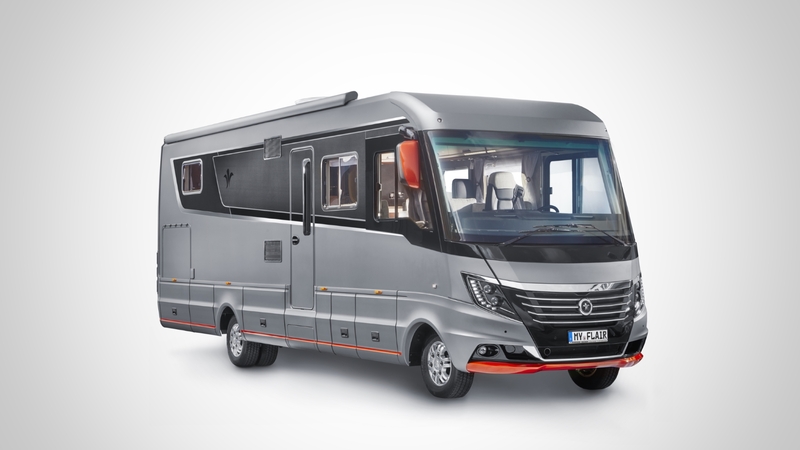 Competitions and prizes for all the family will be on offer and guests can preview a host of new motorhomes. The event will take place at Creswell Park, Erwin Hymer Centre Travelworld, Valley Drive, M6 Junction 14, Stafford, ST16 1NZ. 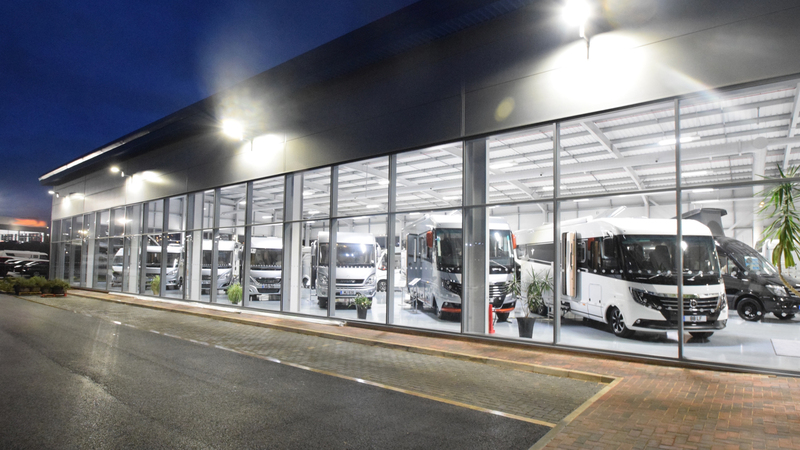 The new glass fronted showrooms consist of a 25-bay workshop, extensive parking space, a large service centre to accommodate up to 25 large A-class motorhomes. the Arto 88 LF uniting a spacious luxury bathroom with a comfortable queen-size bed with a width of 150 centimetres and including among other things an exclusive leather upholstery, “Jeera Green” real stone surfaces, 18´´ allow wheels and an automotive like carbon optic on the exterior. 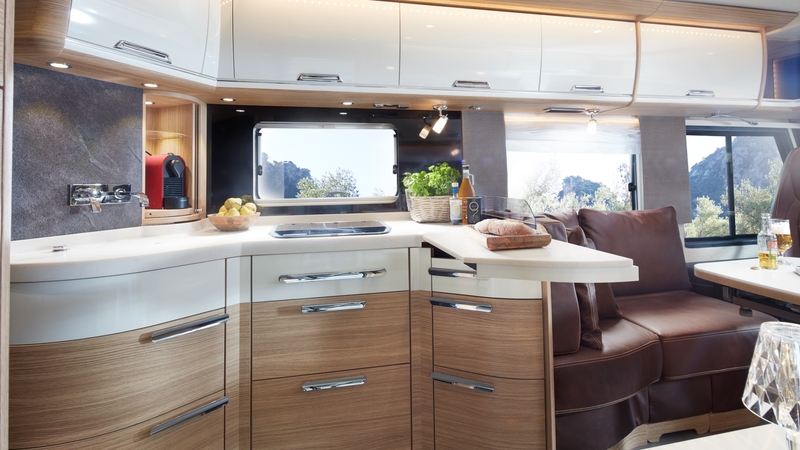 the Flair 920 EK with an enlarged kitchen worktop, an impressive space feeling in the living area, a large wellness bathroom with rain shower, glass doors and towel dryer and a superior sleeping comfort with 2.06-metre long single beds. This model will attract all eyes with its Pure Silver full paint, Lava orange striping and amazing 9"Alpine navigation system. Not to forget the well know and successful Arto 88 EK with a long kitchen top, the unique low profile liner Smove in both lengths (Smove 6.9 Q with transversal bed and the Smove 7.4 E with single beds) and the brand new oak furniture décor “Modern Line”, available in all 3 model ranges. 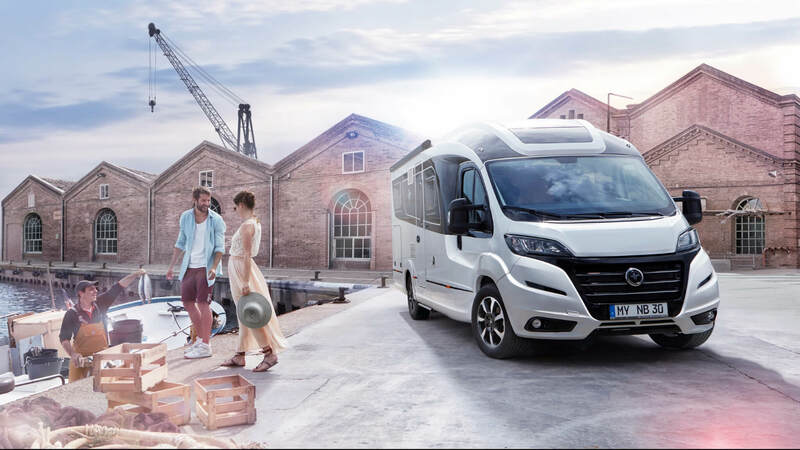 So many new models to discover at the new Erwin Hymer Centre Travelworld. It is worth the visit !